The Islamic State, the Al Nusrah Front, the Islamic Front, and Junud al Sham have been showcasing camps in Iraq and Syria that are being used to indoctrinate and train children to wage jihad. The groups have recently advertised a number of training facilities for children, including one located in Ninewa province in Iraq and others in Aleppo, in and around the Islamic State's self-proclaimed capital of Raqqah, and other areas of Syria. In a propaganda video called "Blood of Jihad 2," the Islamic State highlighted a children's training camp in Iraq's Ninewa province. The video shows more than a dozen children being taught hand-to-hand combat, weapons handling, and what appears to be infantry tactics. The name of the training facility is apparently the "Abu Musab al Zarqawi camp," a tribute to the deceased founder of al Qaeda in Iraq, which was the precursor to the Islamic State. It is unclear if this facility is related to the "Zarqawi Cubs Camp" in Damascus, Syria or if multiple children's camps are named after the slain terrorist. In another propaganda video titled "Race Towards Good," the Islamic State touted a training camp that is used exclusively by young Kazakh fighters. The exact location of the camp is unclear, but it appears to be situated near Raqqah. The video demonstrated the fighters receiving physical training and schooling in firearms such as American, Russian, and Austrian-made sniper rifles. The second half of the video showed Kazakh children learning Arabic, as well as physical and military training. In one scene, a Kazakh child was seen assembling an AK-47 assault rifle. At the end of the video, a boy recited a speech for the camera, saying, "We're going to kill you, O kuffar [unbelievers]. Insha'allah [God-willing], we will slaughter you." The Syrian activist group Tahrir Souri tweeted that coalition airplanes targeted a children's training camp in Raqqah near the 17th Syrian Arab Army base on Nov. 23. A second activist group, Raqqa is Being Slaughtered Silently, has also tweeted about training camps for children in Raqqah. In one tweet, the group reported on a training facility for children under 16. In an article titled "Islamic State group recruits, exploits children," the Associated Press reported that children are often targeted with forced recruitment, while others voluntarily attend these camps. The Islamic State also runs a camp in Aleppo province in Syria called the "Shaddad al Tunisi camp." According to Aymenn al Tamimi, an expert on Syrian and Iraqi groups, the facility is run by the jihadist group exclusively for children and teenagers. In a photograph released by the Islamic State's Wilayat (provincial district) Aleppo, teenagers are clearly shown training in this camp. Junud al Sham, a Chechen-led group operating in Syria's Latakia province, has also featured a youth training facility in its propaganda. While the video has since been deleted from YouTube, Joanna Paraszczuk of From Chechnya to Syria, a website that tracks Russian-speaking jihadists in Syria, reported that the children were shown undertaking military exercises in a classroom while observed by the emir of Junud al Sham, Muslim Shishani. Shishani, whose real name is Murad Margoshvili, has been blacklisted as a Specially Designated Global Terrorist by the US State Department. He has sworn allegiance to the Caucasus Emirate, an al Qaeda-affiliated group that operates in the North Caucasus region of Russia. The Al Nusrah Front, al Qaeda's official branch in Syria, has advertised another children's camp on Twitter. 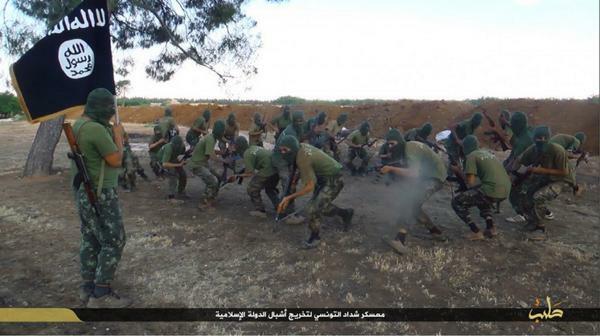 In May, the terrorist group posted pictures of the "Ibn Taymiyyah camp" in Daraa, a southern province of Syria. The facility is named after a 13th century Sunni Islamic theologian whose teachings have become influential among contemporary jihadist groups. The Al Nusrah Front has also released pictures on its official Twitter feed about operations in Syria's Hama province showing an additional camp there. Training camps belonging to two other large Islamist fighting groups, Jaish al Islam and Ahrar al Sham, have also been identified in Syria. The two groups operate within the Islamic Front, a powerful Islamist coalition of Syrian rebel groups. Jaish al Islam was reported to be running a training camp in Daraa, Syria. Ahrar al Sham, a close al Qaeda ally, was also shown to be maintaining a similar facility in Idlib province in northwestern Syria. Since the beginning of 2012, a total of 51 camps have been identified as being operational at some point in time, according to data compiled by The Long War Journal. Information on the camps has been obtained from jihadist videos, news accounts, and US military press releases that note airstrikes against the training facilities. It is unclear if all of the training camps are currently operational. In addition, this analysis is compiled using publicly-available evidence. It is likely that some training camps are not advertised. Of those camps, 38 are located in Syria and 13 in Iraq. The Islamic State has operated 27 camps (15 in Syria and 12 in Iraq). Al Qaeda's Al Nusrah Front has operated 10 camps in Syria. Various allied jihadist groups, including Ansar al Islam, Jaish al Muhajireen wal Ansar, and Junud al Sham, have operated 14 camps (13 in Syria and one in Iraq).